What's harder than getting motivated to workout? Well, sometimes, nothing really. But, if you have something to look forward to during your workout, like a rocking playlist, it will definitely help spark some motivation. 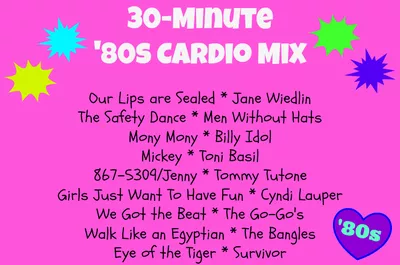 Here's a fun, 30-minute '80s playlist, which is guaranteed to get you moving (who can resist those pop-inspired, synthesizer classics?) and feeling great while you work out!